Travelers looking for West Houston hotels will find our location in the Energy Corridor ideal for guests staying for business or leisure. Explore Houston's history and nature, and journey through space-age technology or a discovery of art and culture. Houston has world-famous landmarks and thrills to delight everyone in your party. 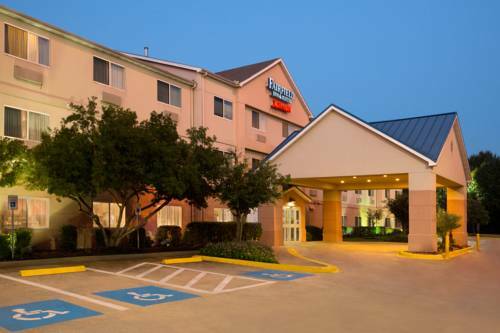 The Fairfield Inn & Suites Houston-I-10 West/Energy Corridor hotel is located off the Katy Freeway, in the heart of Houston's Energy Corridor. The Marriott hotel is within five minutes of many energy-based companies including Shell Oil, BP and Wood Group Mustang. Guests staying at our hotel are also 5 minutes from the Houston Methodist West Hospital. The hotel is within walking distance of many Energy Corridor restaurants and a quick drive to the shopping at the Memorial City Mall, Katy Mills Mall, and West Oaks Mall. We offer a relaxing indoor pool open year round and a fitness center open 24 hours.